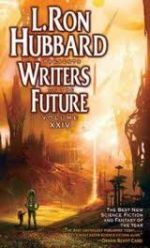 For the New Year I made a few prophecies about scifi in the coming decade. (See this column in RSF#8). 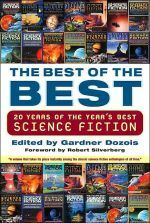 Absent time-travel technology, there’s not really a way to verify those predictions, but I thought I might spot-check them using the same pseudo-unscientific data I used to make them in the first place, Gardner Dozois’ The Year’s Best Science Fiction. I based my predictions on trends I saw in his twenty-year anthology, The Best of the Best, which spanned the ‘Eighties, ‘Nineties, and ‘Oughts. 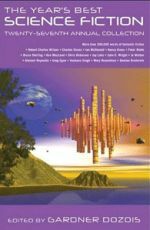 This month, to check those predictions, I read his Twenty-Seventh Annual Collection, containing his choices of thirty-two stories to represent the best short science fiction from 2009. While thus testing (and confirming) several of my Delphic hypotheses, I also discovered another couple of trends (which I’ll elaborate on further down). Yes, I realize this is the third month in a row I’ve written about a Dozois anthology. I’ve become addicted, I must admit. But I promise to shift gears next month, despite the fact that there are plenty more of his anthologies out there worth devouring. And yes, my predictions were about the ‘Teens, which technically didn’t begin until this year, so 2009’s stories can’t really tell us anything for certain about the new decade. But 2009 is the most recent of the anthologies available. 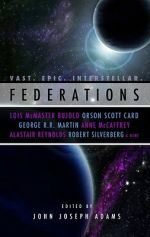 (Dozois 28th annual collection is not due for release until July 5th, but he has posted a list of his picks from 2010 here in Asimov’s forum.) 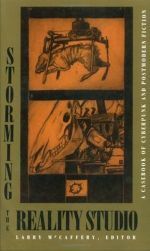 And 2009 is also six years later than the most recent stories from the Best of the Best anthology I used to make the predictions, so it should do well enough. Yes again, these stories had all been published when I made my predictions, so it’s not like this was a double-blind study. Thus they could easily be self-fulfilling prophecies, which I already knew would come true, since they already had. 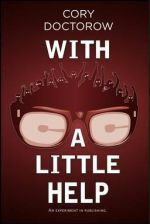 But if I say I hadn’t read any of the stories from the 2009 anthology before this month, you’ll believe me won’t you? I promise I had no Proustian déjà vu moments this month (see this column in RSF#9). So yes to all those objections. But as I said in January, this isn’t science. It’s science fiction. Or perhaps it’s something far more sinister: It’s science fiction literary criticism. So let’s start with the easiest prophecy to fulfill, that “we’ll see more stories about managing relationships and coming to terms with our own mortality.” Unsurprisingly, virtually every story in the 2009 anthology was about love, or death, or both. Score One for me! But that one was a no-brainer, since all good stories, whether scifi or not, deal with those ubiquitous human conditions. So let’s continue with some less guaranteed predictions. In January I suggested that readers are “more interested in a less subjective form of storytelling.…Third-person can provide that illusion of objectivity. 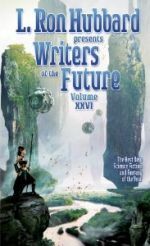 So I predict that we’ll see the majority of published scifi stories continue to be in third person.” This, in fact, was borne out in the stories from the 2009 sample. Twenty of those thirty stories were told from the third person point perspective. That’s 63%, a clear majority. Score Another for me. I also made a few predictions about story settings. One was that “Kenya, I’m sure, will make another appearance sometime in the next ten years.” Kenya in fact shows up twice in the 2009 anthology. Once is a throwaway reference to a ‘Kenyan vintage’ of wine in Roberts’s “Hair,” and another is when Dominic Green mentions Mount Kenya in “Butterfly Bomb.” However, these were mere allusions, and Kenya was not the actual setting of those stories. But it does confirm my related January assertion that “there must just be something about Kenya which appeals to scifi writers,” so let’s count that as Score Another One. 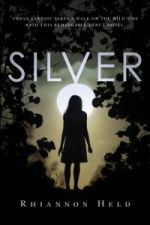 I also said “[C]haracters will have less of a need to be in the Big Apple, Tokyo, or the other urban sprawls…” The 2009 stories which were set on Earth also tended, as predicted, to be in more rural areas. Robert Charles Wilson’s “Utriusque Cosmi” begins in a small town in Arizona, and though the protagonist winds up going VERY far away in the course of the story, she returns to that same small town for her poignant and climactic epiphany. Steven Gould’s “A Story with Beans” is set far from civilization in a non-metallic post-apocalyptic rural New Mexico. “Useless Things” by Maureen F. McHugh takes place in Albuquerque, and Mary Rosenblum’s “Lion Walk” in a prehistoric nature preserve in mid-America. Rather than megacity-clones which are similar in all but name, these original non-urban settings become detailed and appealing characters themselves. I like this trend, as it provides more variety. Score Yet Another. In fact, the only two specific urban sprawls which make an appearance in the 2009 anthology are Atlanta (in Nicola Griffith’s “It Takes Two”) and Mumbai. Mumbai actually appears in THREE of the stories: Vanana Singh’s “Infinities,” which describes a mathematician who seeks to fully understand that largest of all numbers (and who does, for a brief moment); Rand B. Lee’s “Three Leaves of Aloe,” in which a mother must choose whether her daughter gets free will or an education; and Adam Roberts’s “Hair,” which posits a world-changing transhuman hairstyle. Another major city in India, Varanasi, is the setting for Ian McDonald’s “Vishnu at the Cat Circus.” McDonald’s epic novella (is a novella big enough to be epic?) strikes me as an intentional homage to Salman Rushdie’s Midnight Children, for as in Rushdie’s novel a group of children with special powers (and even their own comic book) symbolize India’s future, with rival siblings representing both the good and the bad of the nation (though figuring out which is the good and which the bad may be a bit difficult, but that’s as it should be). 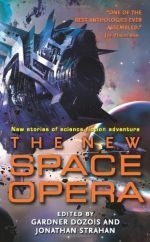 India is thus becoming quite popular as a setting for scifi. So this meets another prediction, “We’ll also see developing nations take on more of a role in scifi in years to come.” (I realize calling India a “developing nation” may be a bit of a misnomer, but the World Economic Outlook (International Monetary Fund, April 2010) still lists it as such, so I’m counting it.) Score Still Another. But what struck me as particularly interesting was that most of these space-stories have a certain specific trope to them. In at least half of them the conquest of space is not made by humans, but by aliens, who graciously ‘rescue’ us from our prison of a polluted and overpopulated planet and allow us to enter the wider galaxy and universe (though usually not as equals). In Wilson’s “Utriusque Cosmi” a few willing humans are ‘raptured up’ by a universe-spanning distributed entity. In another example, McAuley’s “Crimes and Glory,” mysterious entities called Jackaroos allow a few ‘Lottery’ winners (and other aliens) into a self-contained linked system of stars as part of some galactic-sized rat-maze experiment. Similar alien rescues seem to be part of the universe’s backstory in other stories, such as Green’s “Butterfly Bomb,” Bear and Monette’s “Mongoose,” and (if you count our transhuman descendents as being alien to us) Watts’s “The Island.” These visions of space travel imply that we humans just don’t have what it takes to ‘get us off this rock’. So we have to hope someone else will, before we ruin it. The pessimistic flipside of this pessimism is another trope which is quite popular among these stories, namely post-apocalyptic tales of a ruined planet. 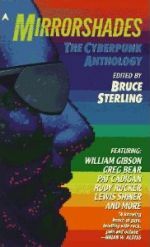 One-fourth of the stories in the 2009 anthology depict Earths which we have ruined in some way or other, and on which human life struggles to survive. In Gould’s “A Story with Beans” a large section of America has been overrun by man-made metal-eating bugs, which will even go for the iron in one’s blood. In Alexander Irvine’s Book-of-Eli-esque “Seventh Fall,” a wandering actor must elude roving bands of bookburning zealots as he searches for a long-lost copy of Hamlet in a North America radically altered by falling chunks of a shattered moon. In all of these tales the moral seems to be that we are stuck on a dying planet. So if we don’t get rescued by aliens soon, we’re doomed. Yet more pessimism is evoked by a related repeating theme, which I want to call “Econopocalypse” tales. In these stories the current economic woes seem to mount to a level at which we cease to be fully human, or at least cease to be humane. In McHugh’s “Useless Things” a starving artist in a near-future Albuquerque finds more humanity in her dogs than in the people, both rich clients and homeless beggars, with whom she interacts. 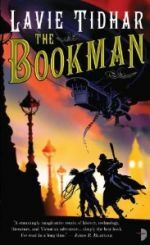 The plight of the lower-class is also vividly depicted in Lavie Tidhar’s “The Integrity of the Chain,” as a struggling tuk-tuk driver tries to save money to help his friend build a rocket-ship which he knows will never launch (and again we are left with this notion that we need outside help to escape). Jo Walton’s “Escape to Other Worlds with Science Fiction” interweaves newspaper headlines and vignettes from the poorest of the poor in a Greatly Depressing (and frighteningly familiar) alternate Earth where the Great Depression never ended. And in Roberts’s “Hair” a breakthrough in biotechnology by a venture altruist threatens to end world hunger (yes, it IS taken as a threat by the protagonist, portraying the plight of the poor even more poignantly). And since yet another prediction I made was that the “effects of the changing economy, and potential economic solutions (or pitfalls) are likely to be a major topic in scifi in the coming years,” Score Another One for me. These glimpses into radically recessed economies show just how money and jobs (or lack of them) occupy the minds of writers and readers. Not surprising, since right now they occupy the minds of almost everyone on the globe. These stories also show, as Walton’s tale implies, that a major benefit of science fiction is that it provides an ‘Escape’, albeit a temporary (and fictional) one. Perhaps because of this we’ll see an even greater demand for sci-fi in the coming decade. And what’s my final Score? I really lost count, but I think scifi fans are the ultimate winners. Dozois, Gardner. The Year’s Best Science Fiction: Twenty-Seventh Annual Collection. New York, St. Martin’s, 2010. 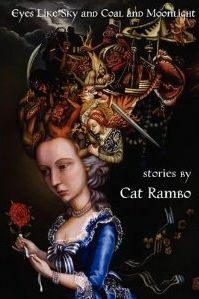 All stories mentioned were originally published in 2009 in various venues. Henry Cribbs somehow managed to sneak his science-fiction poem about Schrödinger’s cat into the literary art journal Lake Effect, and has also published book reviews for Philosophical Psychology, Chicago Literary Review, and Black Warrior Review. He taught philosophy and creative writing at the University of South Carolina for several years, and now forces his high school English students to read Ray Bradbury. He currently serves on the editorial board for Nimrod International Journal of Prose and Poetry.